I am very pleased to let you know that we have confirmed our final appointment this year. Mrs Jennifer Herbst will be teaching the year 5-6 class. Mrs Herbst is originally from South Africa. 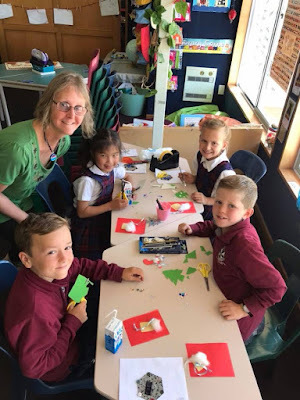 She is an experienced primary and intermediate teacher presently teaching at Rosmini College (a boy's school) on the North Shore in Auckland where she's head of Intermediate English and Learning Enhancement. 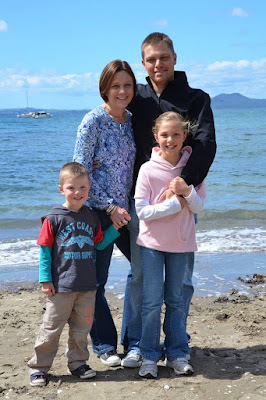 Jennifer comes with her husband Carl and two children Eli who is coming into year 5 and her daughter Sarah who is going into year 9 at St Kevin's. Jennifer is a practising Catholic with a diploma in Religious Education. She is presently the across school teacher for the North Shore Catholic Community of Learning. Jennifer completes the staff for 2018 and we are extremely lucky to have a full complement of experienced staff with a huge array of talents and leadership experience. Please remember to let the coach know if you cannot turn up for a game. Children should also remember to treat all players and supporters with manners, good will and sportsmanship. We have sent home sports forms to fill in. Can we please have these back as soon as possible otherwise we cannot fit your child into a swimming group for next year. Our year 8 sports awards will be awarded on the basis of our school athletics, cross country and swimming competitions. The winner gets 3 points, 2nd place gets 2 points, 3rd place gets 1 point. If there is a draw there is also one point for each school team the person plays for. The boy and girl with the most points will be awarded the sports awards at our prize-giving mass. This year we introduced the Wordlab spelling program. The proof is always in the pudding - does it make a difference? Yes it does. In the five months we have been using the program this is the average rate of increase in spelling age for our spellers. We tested on the South Australian Spelling Test and what is interesting is these are not the words learnt in Wordlab. In Wordlab you learn HOW to spell not WHAT to spell. That's why there aren't vast lists of complicated words and its also why most of it is done in school, not for homework. Some parents have worried that able spellers won't be extended. But from this it would look like the able spellers make the most gain. Some of our spellers who started at the 13 age range ended up at the 16+ age range. Paula Brien will continue with our Sports Coordination for 2018. Thank God. We presently have a very large funding application in to replace and upgrade the St Joseph's clubs equipment. We need to make the sports sustainable and keep the equipment upgraded. So from the start of next year we are going to ask for sports fees to be paid before the seasons starts. If they can't be paid up front an automatic payment can be arranged. The Junior Nativity Pageant will happen at the end of year mass starting at 6,30pm on Thursday 14th December. We have started it at 6.30 to give the children time to eat beforehand. We would like all of our community to get together for this end of year celebration. This will be combined with prize-giving. At least one child from every class will get a prize. We have removed all speeches so as to make the evening manageable for everyone. It will be our normal school mass, plus the junior nativity and prizes at the end. The head boy and girl speeches will be on Friday 15th at our final assembly at 2.00pm. After 8th December only the Maheno and Clifton Falls buses will still be running. Families further afield can bring children in for these buses. These are the only two buses specifically contracted to St Joseph's school once the high schools stop.